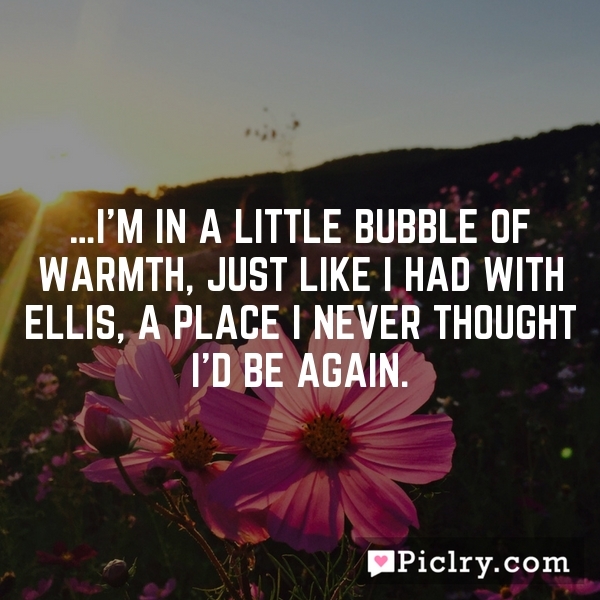 ...I'm in a little bubble of warmth, just like I had with Ellis, a place I never thought I'd be again. The restless spirit never loses its wings. If sometimes it cannot fly, it is because during those moments the sky vanishes.